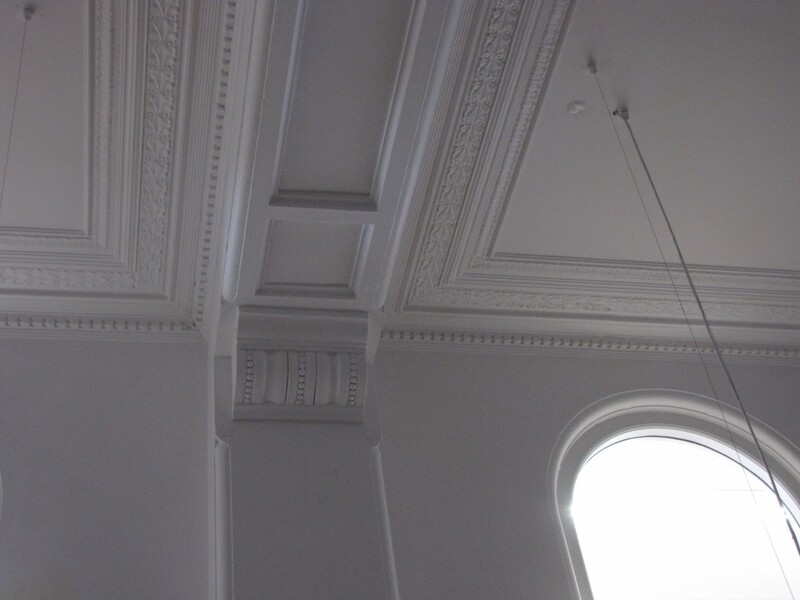 in-situ repairs to the existing damaged cornices & mouldings, following the removal of walls & partitions and following the removal then subsequent replacement of mechanical & electrical (M. & E.) works. All minor damage was repaired with large cracks to ceilings being cut-out and re-filled. 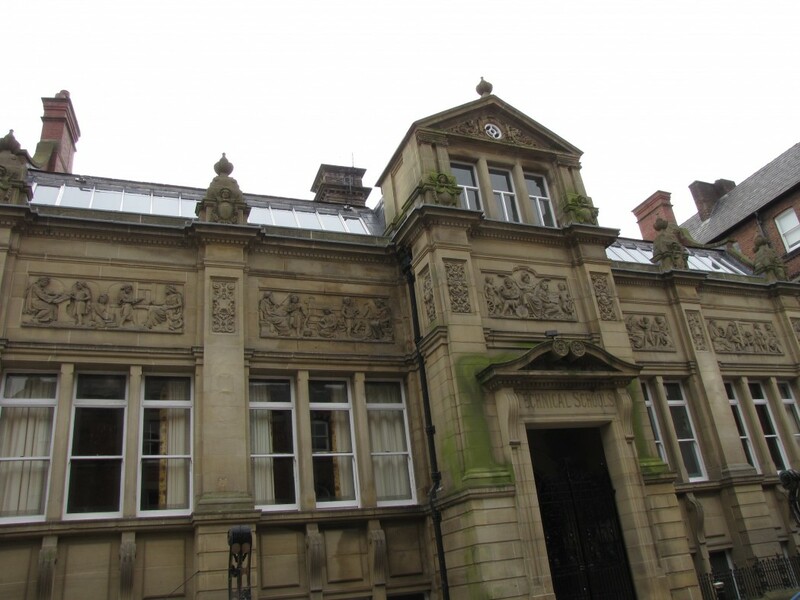 Plaster Restorations completed the full refurbishment to these local council offices. 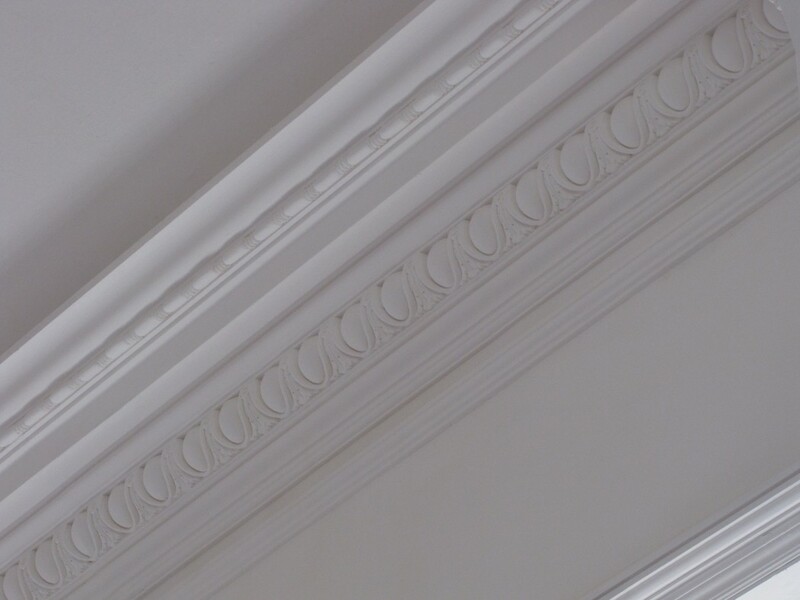 The work included the full site survey, along with forming new sections of cornice to match existing, which were run around new partitions. 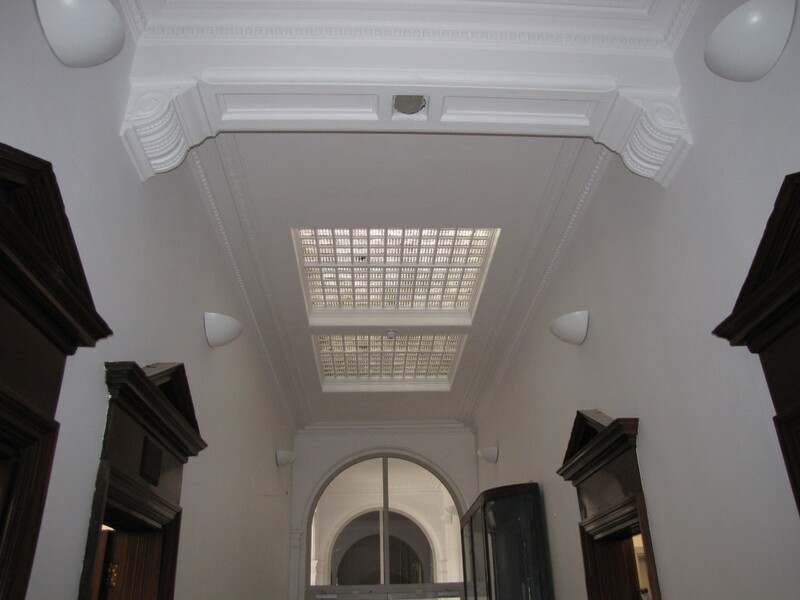 We also carried-out extensive in-situ repairs to the existing damaged cornices, following the removal of partitions and the removal then subsequent replacement of mechanical & electrical (M&E) works. All minor damage was repaired. Works to this damaged archway following removal of a partition wall involved the use of in-situ repair in its purest form. 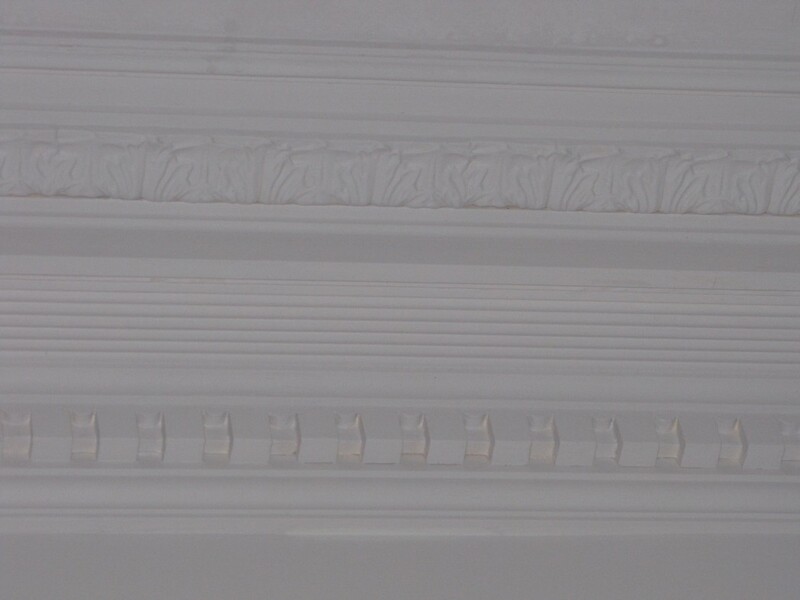 All mouldings and feature quirks were replicated in-situ, using wet plaster with hand carving and modeling techniques. 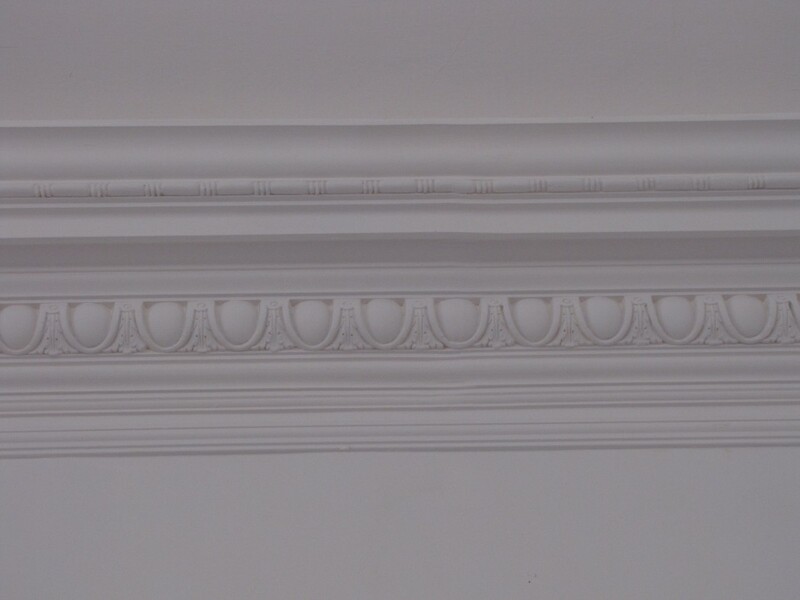 This was seamlessly interfaced with solid plastering to obtain the perfect result. 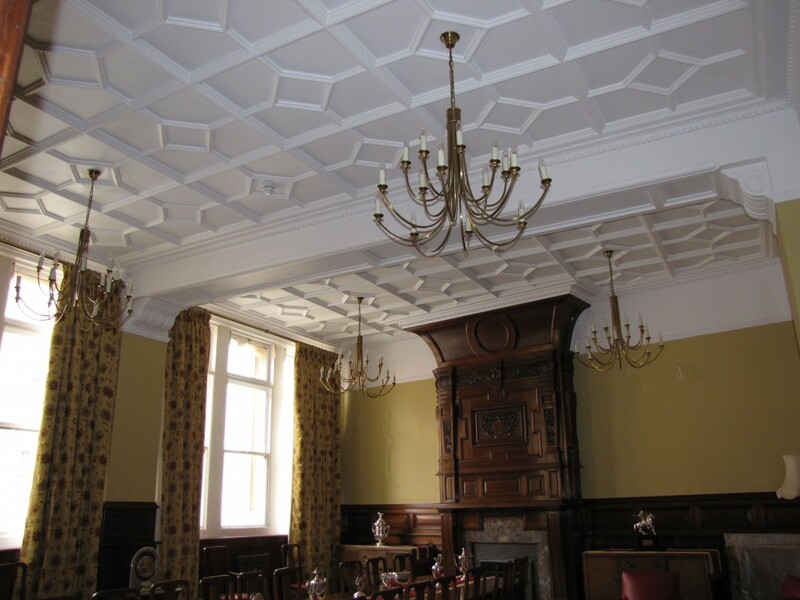 Fibrous Plasterwork – Manufacture, installation and in-situ repair. 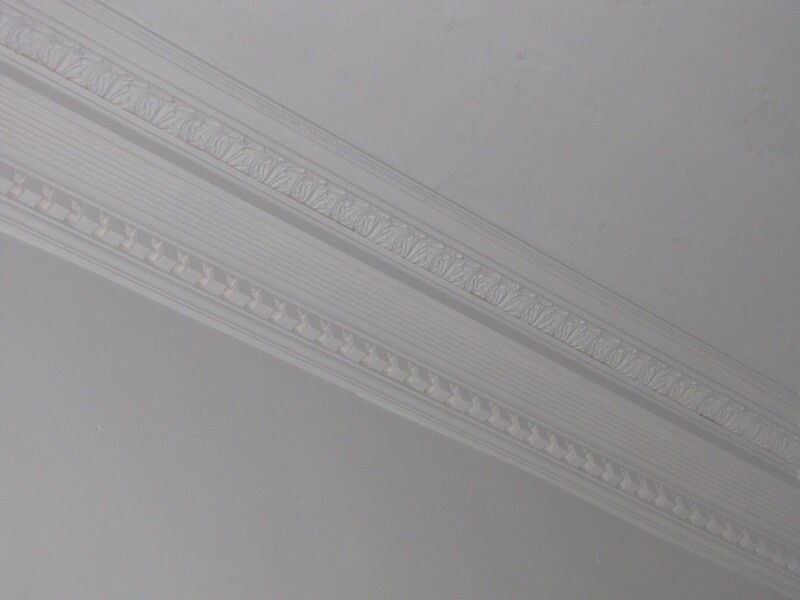 Solid Plasterwork – Float & Skim, Dot-Dab, Re-Skims and Patching. 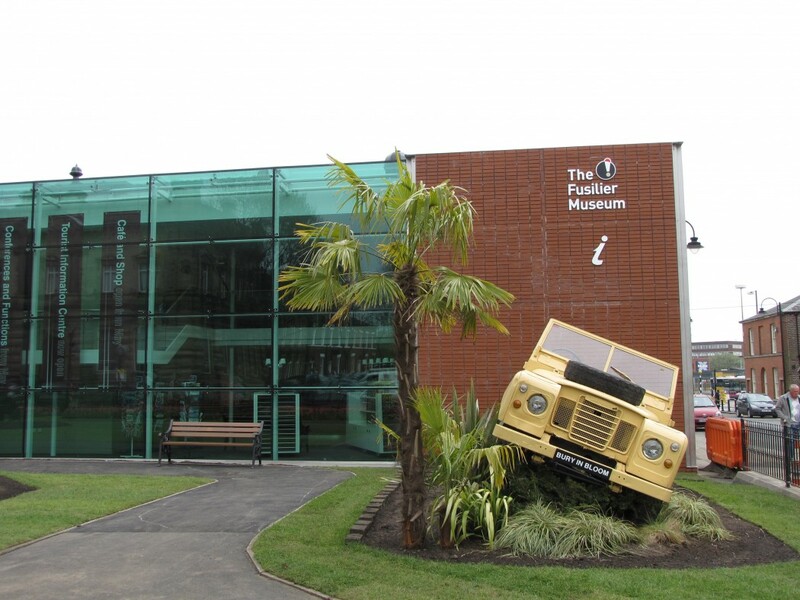 External Rendering – Including new, Re-Rendering and Patching. 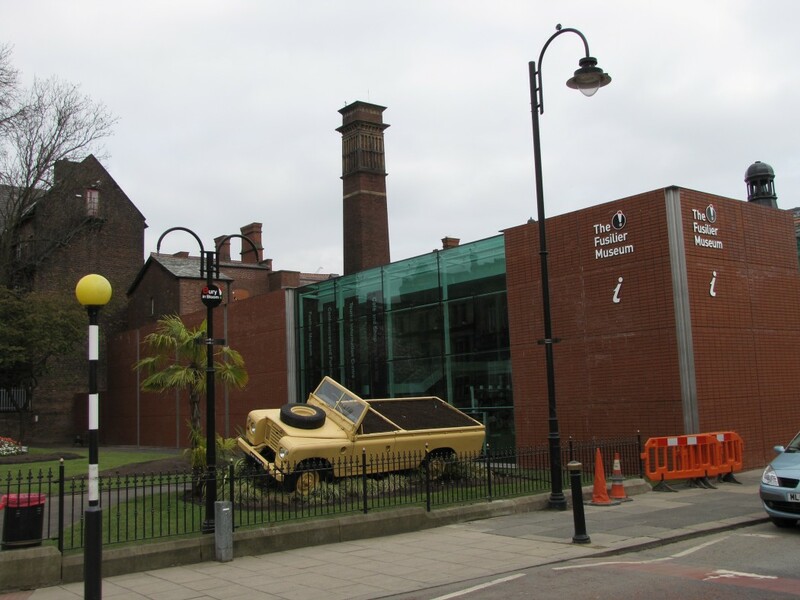 Domestic Work – Down to the smallest of repairs. 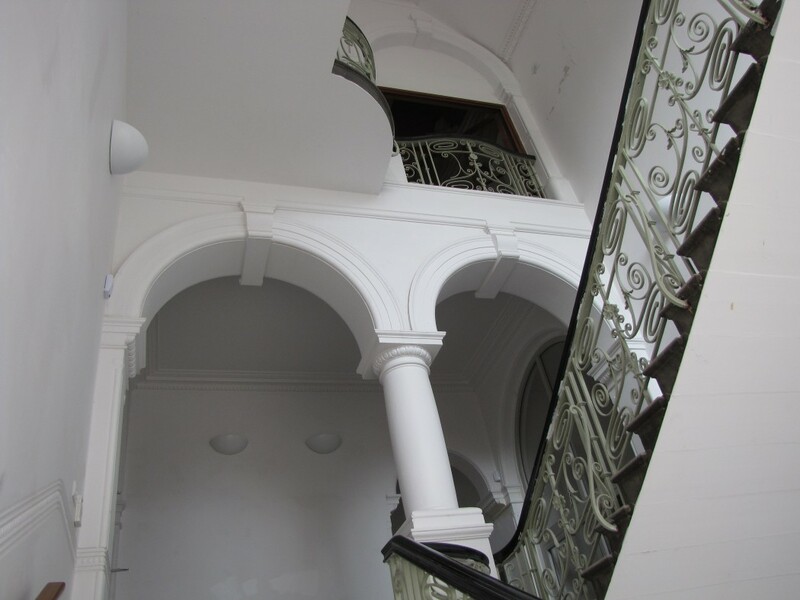 We can provide surveys and budgets upon forthcoming or existing refurbishment projects to your properties. 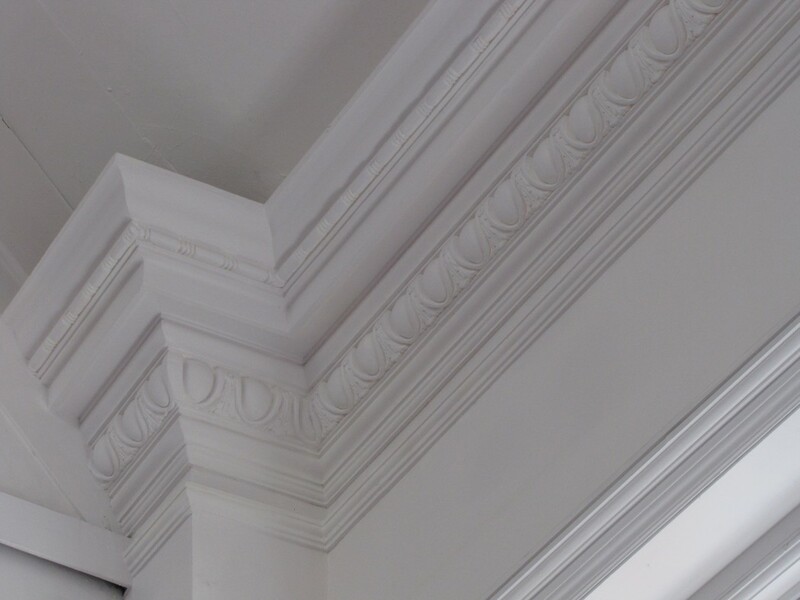 Plaster Restorations believe that through our skill and expertise, we can offer a great many benefits to our clients to enhance a future working relationship. We would welcome the opportunity of visiting your offices, projects or homes with a view of discussing our systems in more detail.